I know SEPTA gets a lot of grief for running behind schedule, but this is ridiculous. I was almost 70 years late for work this morning. Also, what you can’t see in the photo is that it was taken at 11:15PM. 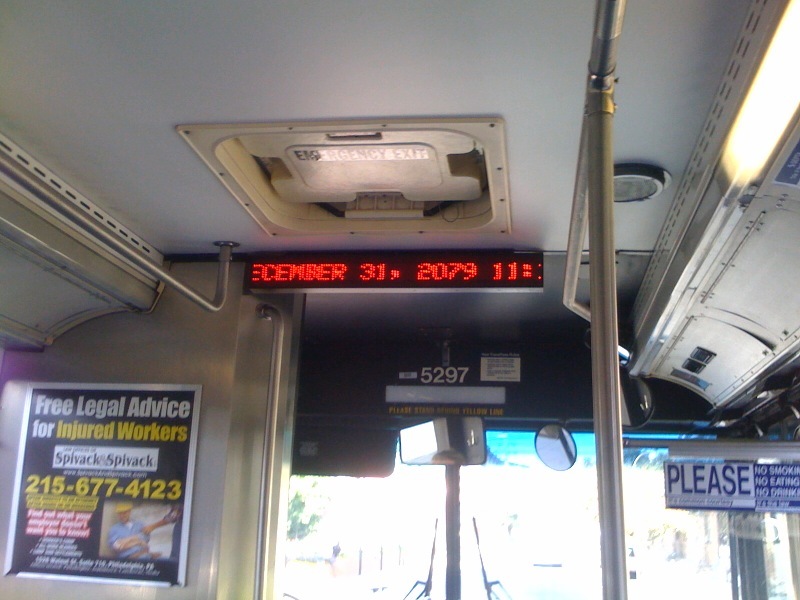 In the future, that time of day is broad daylight. I can only assume this is the result of Daylight Savings Time run amok, or humanity’s last ditch effort to stave off the vampire apocalypse by throwing off their sleep schedule. 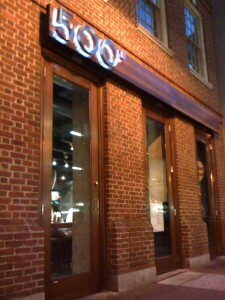 After the clearly misguided Five Guys review (sorry LydonWrites, the public has spoken), I thought I’d offer my thoughts on one of Philly’s newer Burger Joints: the Rogue-affiliated 500 Degrees. Since Rob Wasserman opened the restaurant in March, the food has been very hit or miss. However, as time has progressed, 500 degrees seems to have found it’s footing and is becoming a worthwhile place to in stop in for a bite.